One of the often heard remarks in golf is that your golf swing is slow when you walk slow, or also talk slowly. And you would be walking slow, or also talk slowly. Why? Well it could be your personality that does not allow you to swing fast and make distance. You can argue what a fast swing is. But let us look at the current number one golfer in the World Rankings; Dustin Johnson. Now, he is walking slow, looks laid back. He talks slow, and deliberate. Interestingly, Dustin’s tempo used to be about 29/10 (see Note at bottom). But it is much faster now. So despite his personality, he changed his. Are we talking about one of the myths in golf here? 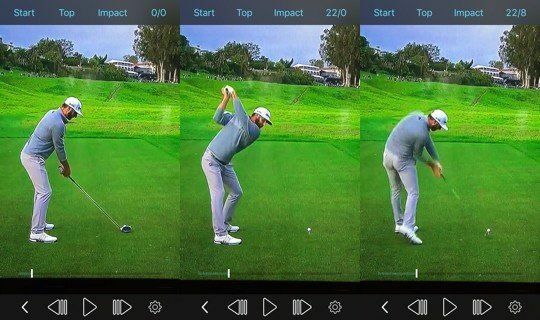 You may find yourself not the champion golfer, but DJ managed to speed up his to a 22/8 tempo. He turns the club WAY past parallel (on a driver) in 21-22 frames. Then back to impact in 8 more frames. So takeaway to impact is 1 second. And did I mention he goes past parallel? The past parallel thing is important because speed is a function of time AND distance. He has the same frame count as Tiger (in his prime) or Rory McIlroy. But he goes further back than they did or do. So, that makes him faster. So Johnson’s personality was not the concern. No in fact he trained his. A golfer is not ‘stuck’ with his tempo. Train it, and training it is just like training anything else in life. Use the right system to do it and you need to put in some hours. It is called Tour Tempo, and amazingly put in some minutes and improve… but, to make the changes long-lasting you need to put those minutes in daily (or at least weekly). Match your tempo to that of the PGA Tour Pros with the internationally acclaimed TT Tones. It is the way to instantly improve your golf swing. This pretty cool video comparison between DJ and John Novosel Jr. of Tour Tempo is created with the TT Frame Counter App. 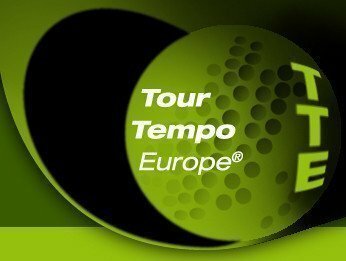 The Tour Tempo Frame Counter App is the easiest and quickest way to do that. 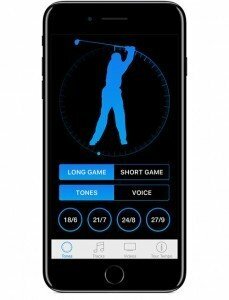 It allows you to view and count sport action video, specifically the golf swing, by advancing the video one frame at a time. Measure tempo by using the Frame Counter App. This way you can count your number of frames going back, and down to impact. So You are MEASURING IT… then I can compare it to DJ and voila, I’m looking good. So this myth is gone anyway. Note: Swing Tempo in golf is made up of elapsed time of back- and downswing to impact. It is expressed in the ratio of frames recorded of standard video. So DJ’s original 29/10 means 29 frames backswing, and 10 frames downswing.